Are you bored on playing Ameba Pico some times? Doesn't have anything to do? Well, we have something for everyone to kill your boredom! Enjoy our games such as find the difference, search the real, illusion and many more! We have a new album on our fan page, Égames. Just check it anytime because we will be having more fun games for everyone! Feel free to check it out when you're bored, maintenance, well, anytime! We would love to see your answers because we're expecting it will bring everyone fun! So don't be shy and give your answers to our games. We will be having a new game on November 17, so Don't miss it out!! Cool blog!. Get best casino gambling experience with online casino malaysia. 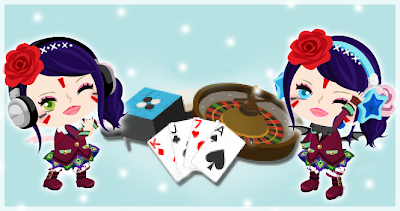 One of the amazing things about this live casino gambling site is it offers 100% welcome bonus to its newly signed up users and with every deposit, it offers 5% to 10% offers.